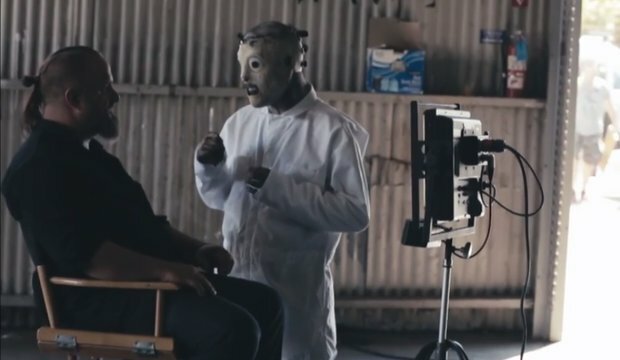 Slipknot have posted a video, narrated by Michael “Clown” Crahan, that takes fans behind the scenes of their gruesome video for “The Devil In I.” Crahan details each member and the motives behind how they wanted to die in the clip. Check it out below and let us know your thoughts! Slipknot's latest studio album, .5 The Gray Chapter, is out now. The record debuted at No. 1 on the Billboard 200 chart by selling around 132,000 copies in its first week.